Bad Credit? No Credit? Our "Buy Here - Pay Here" Columbus Plan Can Get YOU in a Car Today! Buy Here Pay Here Columbus Auto Loans now available in Columbus Ohio- Buy Here Pay Here (BHPH) is a term most commonly used in the automobile industry, meaning that the company from which you purchase the vehicle is also the same company that will service the note on the loan. Therefore, no bank approval is necessary to purchase a vehicle at Great City Cars. We are the bank! Here at Great City Cars we make financing easy. We understand that many have experienced financial challenges over the past few years, and in order to help, we have developed our Buy Here Pay Here program that aims to assist those in need of reliable transportation. Come on into Great City Cars Today. 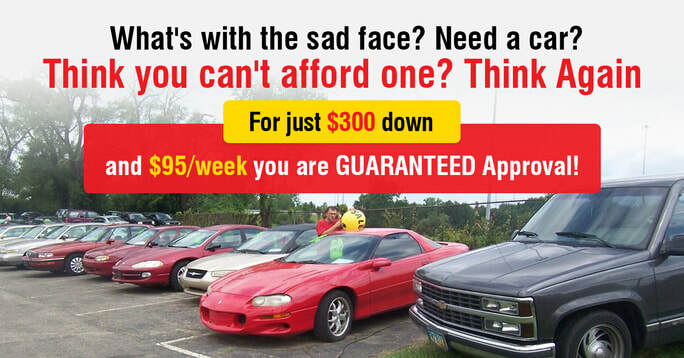 We are the Home of the $95/week program and can get you into your next car for as little as $300 down! Our in-house car financing Columbus aka Buy Here Pay Here in Columbus services help our customers get and stay on the road. ​Come by our Buy Here Pay Here Car Lot Columbus and see why Great City Cars is the BEST Columbus Ohio Buy Here Pay Here Lot. Enter your basic info below. We will send you a text message to your mobile phone with a link to your $200 OFF offer instantly! You will also be automatically redirected to our inventory pages after you click the "SEND" button below. Down Payments as low as $300! Here at Great City Cars we also make financing easy. We understand that many have experienced financial challenges over the past few years, and in order to help, we have developed our Buy Here Pay Here program that aims to assist those in need of reliable transportation. Great City Cars promises to get those with credit challenges back out on the road again. Buy Here Pay Here Columbus, Ohio. At our buy here pay here dealership Great City Cars, your choice matters. We want you to be satisfied with your pre-owned vehicle. Given our great selection, we will surely have a car that meets your needs and suits your tastes. The professionals at Great City Cars are committed to meeting the needs of our valued customers in the face of today's financial road blocks. We know you want to get driving again, and we want to help you. 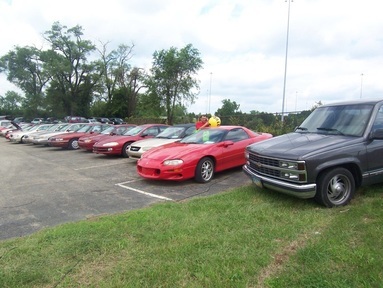 All of the vehicles in our inventory are eligible for the program. To see our current inventory, Click here for Cars and Vans or Click here for Trucks and SUV's. Please remember, we receive more vehicles every week, and do our best to keep our online inventory current, so check back soon if you don't see what you are looking for today. Or give us a call at 614-522-6500.